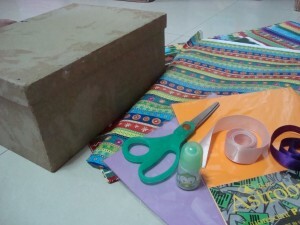 Prepare materials needed. 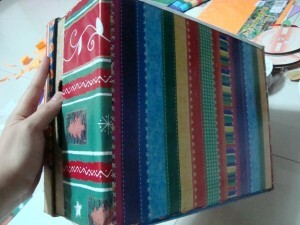 Choose papers and ribbons to use. 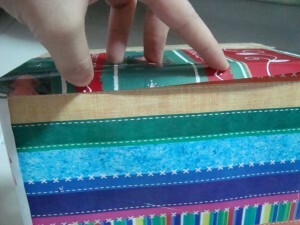 Place wrapping paper on the bottom and gently press it against the box to create the side’s dimension. 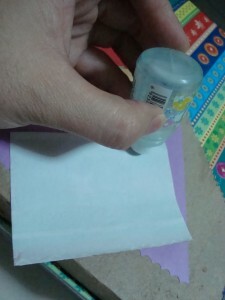 With a pair of scissors, cut the paper giving about a half inch more on one side, and the exact measurement on the other side. 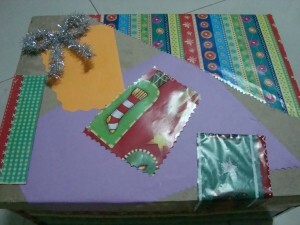 Glue paper onto the box, folding the extra side to overlap the other side. Continue the same steps until all sides are covered. 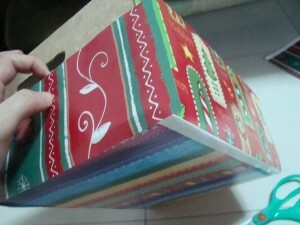 If your box has a hole handle, you may leave the wrapper until just below the handle. 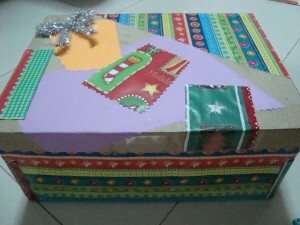 Be more creative when wrapping the box cover. You can partially cover one side and have your kid glue shaped pieces of papers and wrappers. 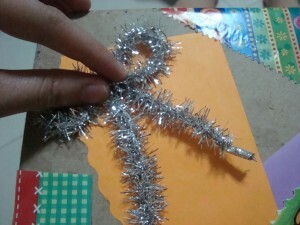 Add a ribbon or two. And that’s it! 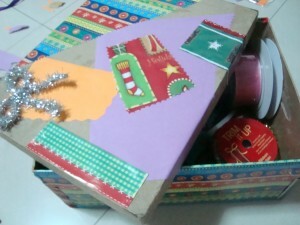 Your box is now ready for storing your craft accessories. Now, you have all your craft supplies in one place so you can find them easily.